Hey, Babes! I cannot believe that we are in the last week of September! Fall is definitely in full swing now which only means one thing to me…my baby turns another year older (que all the mommy tears). 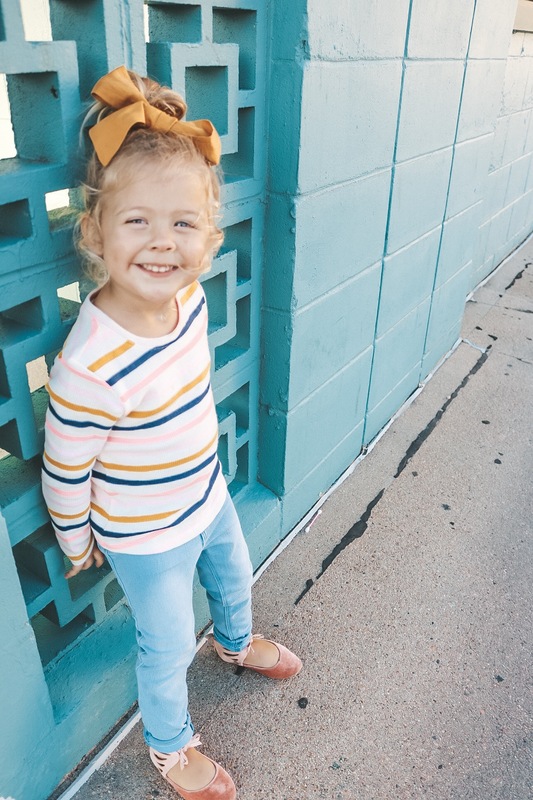 She is turning the big THREE in a few shorts weeks and I am over here wondering how my baby got to be so big and SO beautiful! 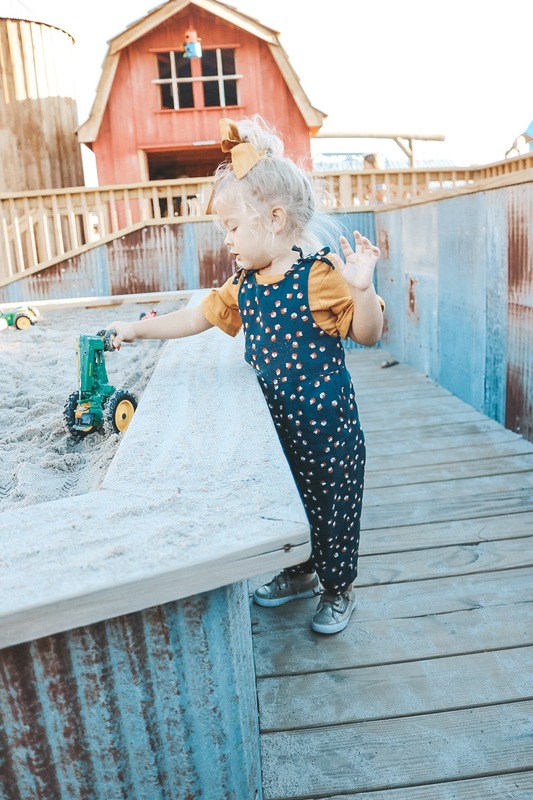 I thought it would be a good idea to round up a quick motherhood update and include some toddler Fall clothing picks! She melts my freaking heart! This girl…she really is my everything! These have been the best (almost) three years of my life and the years I never knew I needed! She brings me more joy and love than she will ever know and I thank God everyday He chose me to be her Mommy. Noelia started dance classes this past July and has been loving it which makes me SO happy! She absolutely radiates in her class. She was a bit timid at first, but after a few classes she truly flourished. She loves being able to dance along other little girls and look at herself in the mirror (who would have thought!). Noelia does not go to daycare so I am so happy she meshes well with the other girls and follows instructions well (mosssst of the time!). She always tell me how much she enjoys class and I often catch her practicing her spins and ballet positions. I was a dancer my whole life so that sight is everything to me! Life definitely came full circle for me in that aspect. The more and more this girl grows, the more she reminds me of her Daddy. Not only does this girl look just like her Daddy, but that talking personality is all Brody! Noelia loves to tell you about her day and to describe in detail about certain things she did. She says phrases and words I never knew she learned and some days I swear her IQ is higher than mine ;). This girl really is so smart! She will talk to us in both English and Spanish and knows the difference between the two (she knows “cama” is Spanish for “bed”, etc). Noelia’s attention span is also very good for her age in our opinion. She can focus on one thing for 30 minutes or more (helping to pull weeds in the yard, cleaning up an area, fixing something with dad, etc) which is very good for a almost 3 year-old! She never ceases to amaze us! First trip to the pumpkin patch this year! Noelia is really into ponies and horses right now. She still loves her baby dolls, but those dang horses are everything to her! She started watching “My Little Pony” on Netflix and I am pretty sure thats what did it for her. She has about 20 little horses and ponies that she lugs around everywhere and sleeps with every night. No exaggeration…this girl will not go anywhere without her precious ponies! She even wants to be a pony for Halloween which I am A Okay with…Unicorn Mom coming right up! Definitely heading to Pinterest for all that inspo. She also discovered Play Doh… I am sure all my Mama’s can relate to cleaning up after a Play Doh play sesh! She absolutely loves it, though. She will tell me which colors are which and she enjoys creating shapes. She could play with it for hours, literally! Lately, Noelia has become Miss Independent. She want to do almost everything herself. 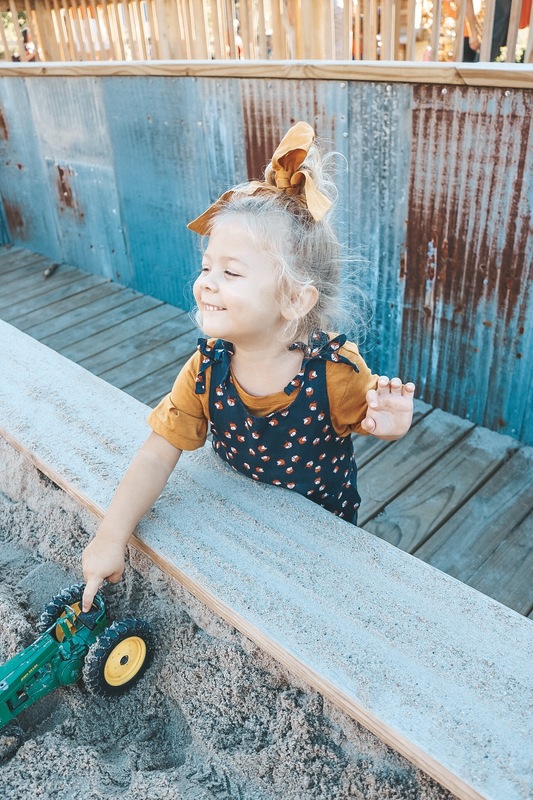 This include washing her hands, pouring herself juice, going potty, putting away certain things for me…she really strives to be Mama’s little helper! Her line right now is, “I’m a good helper, Mom!” and she really is! Sometimes I get caught up in knowing her “helping” and doing things on her own creates a much larger mess for me but I have learned that sitting back and watching her be proud of herself is much more rewarding than a clean space. The mess makes the memories! All the Sass with that leg pop! Noelia definitely already has her own “style”. 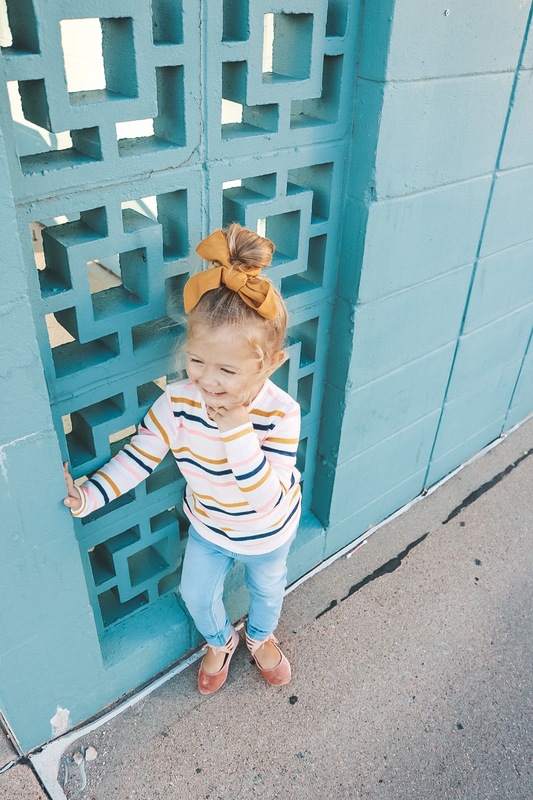 She loves to come with me into stores and look at the clothes and tells me what is “cute” (fashion blogger in the making?!). If she could wear a dress everyday she would, especially if it was pink. Pink is this girl’s thing! I try my best some days to allow her to pick out her outfit for the day and dress herself. It is always so fun to see what they actually choose for themselves (until you are trying to go to Target in a Belle costume..)! I usually opt for Target, Old Navy, or Gap when I shop for Noelia’s clothes. I also go into Marshall’s/TJMaxx on occasion and usually score on Nike and Adidas gear for her pretty cheap! 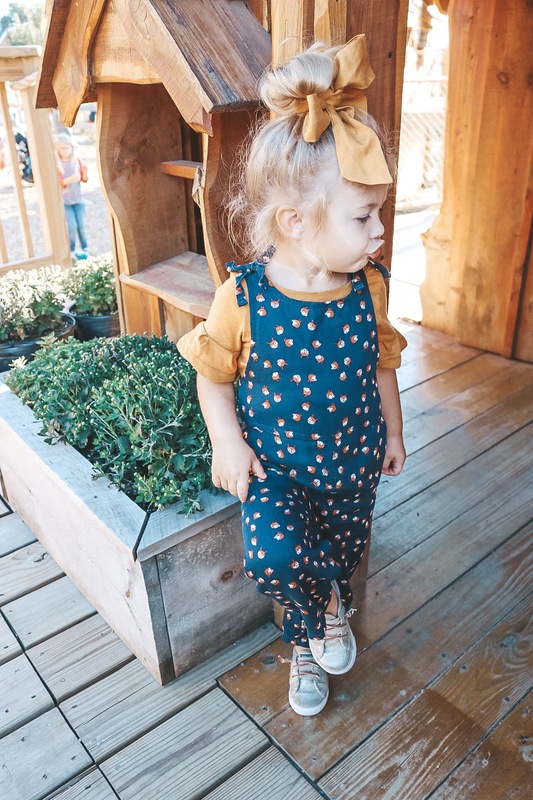 I probably spend way too much money on her wardrobe but I just can’t help it…little girls clothing is just too dang cute! I save everything that is in good condition for the next babe in case it is another girl. If it isn’t a girl, I have about 5 tubs stacked pretty deep that will go to a good home! I am always so sad once that next round of out-grown clothing goes into a tub…I will always want her to stay small. Awww! Your baby girl looks adorable. I don’t have kids but I can picture myself being THAT mom that dresses her kid to the 9s! 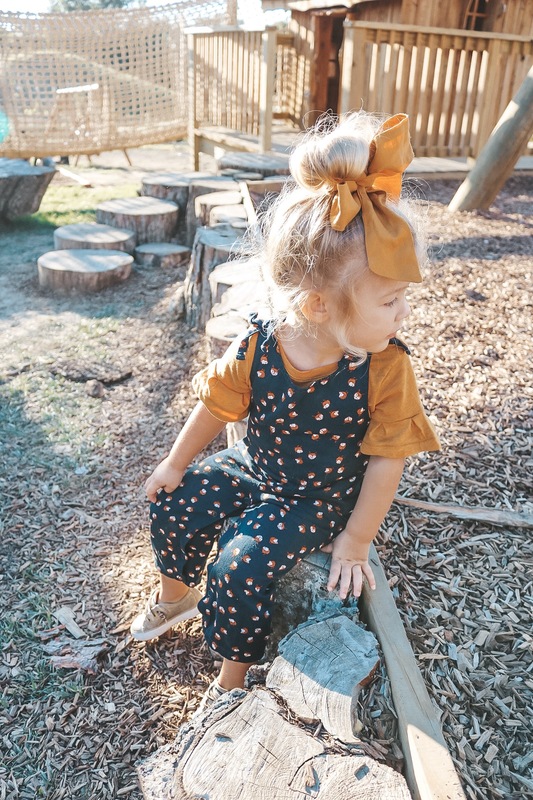 Matching mommy & daughter outfits! Lol. Thanks for sharing your updates, you’re a great mommy! Thank you so much for stopping by the blog! 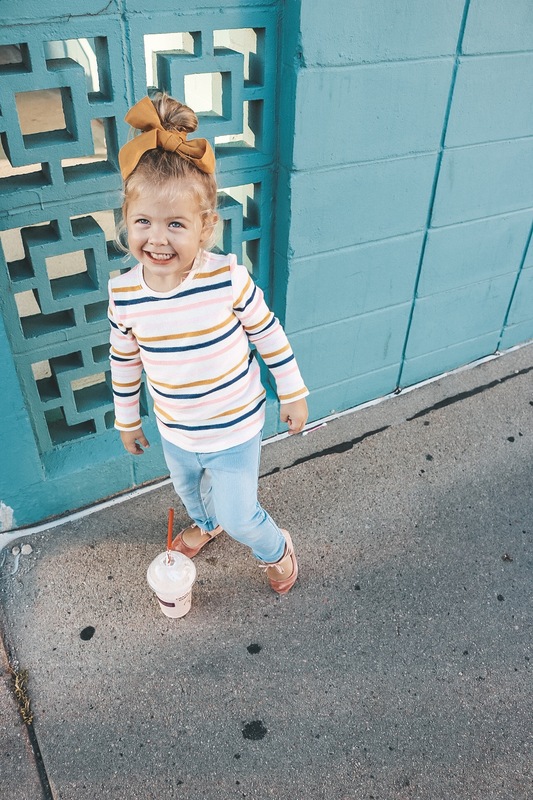 It really is so fun being a girl mom (and mom in general! ).